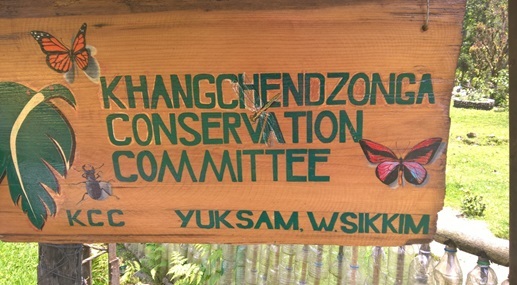 Khangchendzonga Conservation Committee (KCC) is a community based Non Governmental and Non-profit organization based in Yuksam, West Sikkim (India). Formed in 1996 out of shared concerns, KCC works for the conservation of Biodiversity in Sikkim Himalaya with special focus on Khangchendzonga National Park (KNP), promote community based tourism for sustainable income generation for mountain community, works with school teachers and students on conservation education, undertakes micro planning for overall development approach of development, promote Zero Waste Trekking Trail in Yuksam-Dzongri-Goechala Trekking corridor, provides training to guides, Porters, Home stay operators, Pack animal operators and lodge operators. KCC is registered under the societies Act with Sikkim Government and was officially registered in 1997. 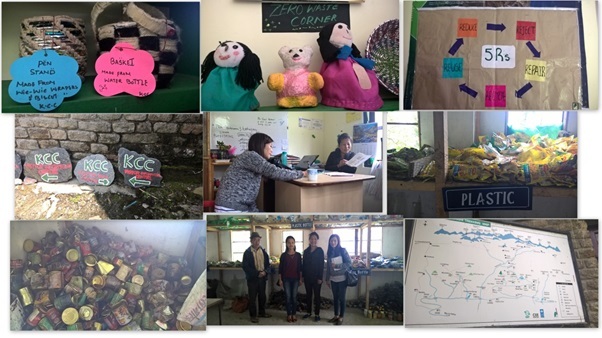 My visit to KCC, Yuksam which is one hour journey from Pelling, West Sikkim was for three days that is on 5th May 2015 to 7th May 2015. 4. Per day charges and Rates of Porters and pack animals, their contact and availability. 5. 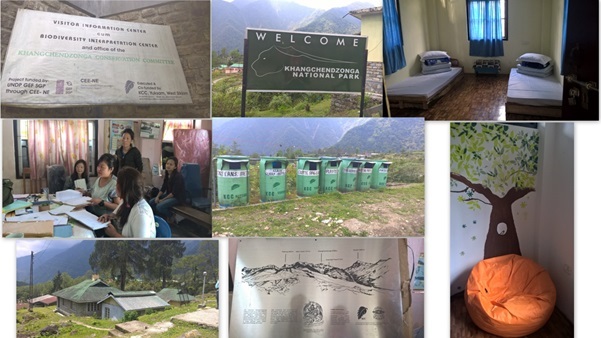 Authentic Home stay, eco friendly lodges promoting local and organic food with proper service in Yuksom, KNP, and West Sikkim (if possible), with facilities provided. 7. List of skilled, trained guides working independently or with tour operators, their names, contacts and reliability. 8. List of Tour Operators in the area (Authentic and Standardised), especially for trekking, birding, lodging etc. 9. List of upcoming Workshops, Events, training by KCC, or related to ecotourism activities with dates, venue, no. of days. 10. Specific Guidelines, Permits international and national tourists/visitors visiting KNP. 2nd day visit i.e 6th May 2015 was field visit starting from office which comprised of an entrance hall with Class room for home stay trainees, Entrepreneurs trainees, Porters, Cook etc. One small Library for students and the trainees, apart from that the office has two eco friendly guest rooms for guest. There were four interns from different department engaged in collecting data in and around KCC. 3rd day visit 7th May 2015 was also a field visit few distance from the office is Garbage Segregation Centre run by KCC, were after collecting garbage then it is segregated to different segment for further use.KNP check post is located on the way to Dzongri trail few steps from Segregation Centre where trekkers are asked to fill up the form. The trekkers are checked for the numbers of items they carry and are fined while returning if the number of items is less. Overall the tour to KCC Yuksam was a fruitful one as the above mentioned data was all provided by KCC.